The number of enquiries relating to what constitutes a "substantially changed" vehicle have tailed off to zero and I'd not expect much more unless there is a high-profile challenge somewhere in the classic vehicle community. However, there has been at least one attempted prosecution for driving an exempt vehicle without a valid MoT. This all stems from the inability of the Police to get detailed information from the DVLA's Vehicle Enquiry Service. Following an urgent clarification request by the FBHVC, the DfT responded in January 2019 with a clarification, but unfortunately not a revised process that removes all doubt. 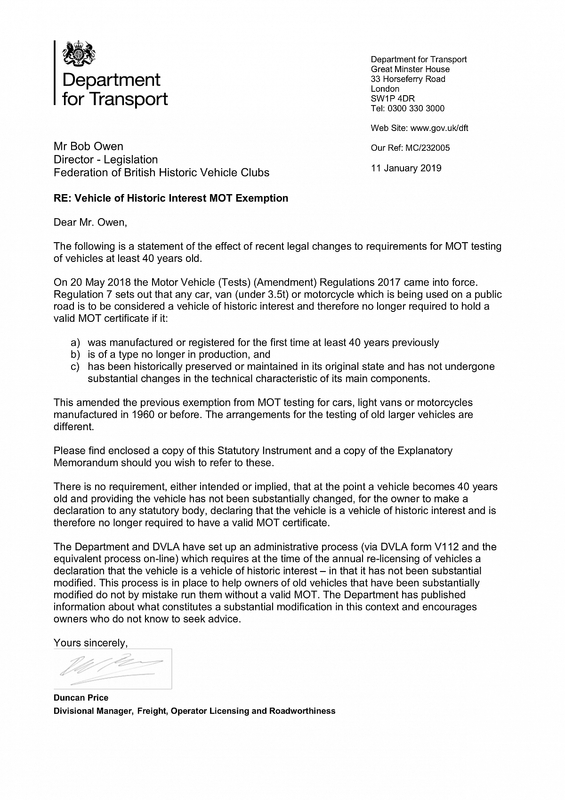 "There is no requirement, either intended or implied, that at the point a vehicle becomes 40 years old and providing the vehicle has not been substantially changed, for the owner to make a declaration to any statutory body, declaring that the vehicle is a vehicle of historic interest and is therefore no longer required to have a valid MoT certificate". 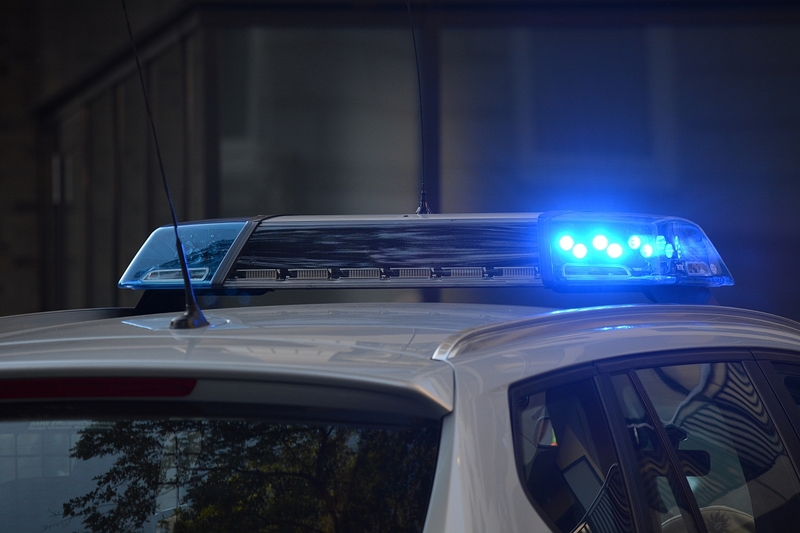 The declaration that a vehicle has not been changed will only be possible at the next re-licensing occasion and only then if the vehicle has no MoT. There was a suggestion that we should carry copies of the DfT documents to show the Police if challenged but I can't see this working too well on a wet and windy day on the hard shoulder of the M25. Perhaps a copy of the registration document to demonstrate its age? To download the letter that the FBHVC and DVLA suggest to carry in your TR's glove box click here. Clear as a rabbit in a TR3's headlights. I have just renewed the tax on my 1956 TR3. Last year I decided to put it through an MOT test as it had been a couple of years (and not that many miles) since it had one. So it has a current MOT until July 2019. At no point in the online process did I have to confirm Historic status. Perhaps that is because of the valid MOT at renewal of the tax. 1. A vehicle that qualifies on age and is also not substantially modified is as a matter of law not required to have an MOT. 2. the declaration is to nudge the owner to seriously consider whether the vehicle fully qualifies at the time of renewal. It is not a requirement for that status to be granted, as it exists in fact and law for vehicles meeting the defined criteria. This year I will not have made a declaration but come July I will not have an MOT 'certificate'. Next April I will see what happens online when renewing the tax. My experience this year tells me that a declaration is not needed every year if at the time of renewal I have an MOT. This logic fits with the letter. I see that the year old flowchart is still published on the website. Perhaps it should be taken down lest it misleads as the situation has emerged to be a little more complex that it portrays. Has anybody recently re-taxed their historic vehicle without a current MOT? I'd be interested to know what process presented itself online.